Virginia’s capital city of Richmond has played a role in many early major historical events in the history of the United States. From speeches to battles, the events that took place here served as framework for ideas that would sculpt the laws which brought America into existence. First settled by British colonists in the early 1600s, Richmond has been the epicenter for change and innovation in the state of Virginia. Here, we’re exploring the events that made Richmond into one of the most historically rich cities in the American South. In 1737, William Byrd II offered funds to Major William Mayo to layout a grid for a city that he would call “Richmond,” named after an English town near London. By April, the layout was complete and in 1742, Richmond was built, settled, and officially declared a town. Richmond was home for several events that shaped the laws that govern modern-day America. 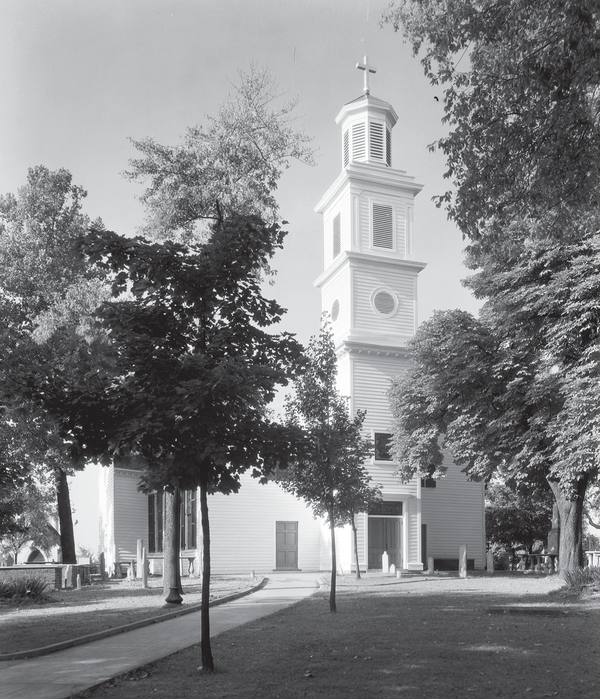 In 1775, Patrick Henry gave his famous “Give me Liberty or Give me Death” speech in St. John’s Church, which helped Virginia attain a role in the First Continental Congress. 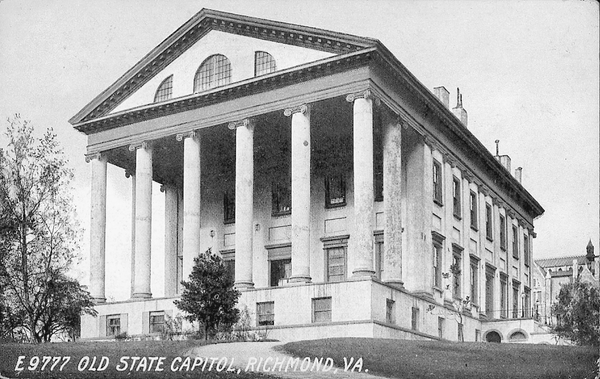 The state’s capital was moved from Williamsburg to Richmond in 1780 for a more localized location, and with the hopes of preventing a British attack on the capital. However, the latter effort proved ineffective. In 1781, at the height of the Revolutionary War, much of Richmond was burned by British troops. Despite this, the city managed to recover quickly after the war. In 1786, the Virginia Statute for Religious Freedom was drafted by Thomas Jefferson. This document largely helped set the framework for the idea of the separation of church and state. Around this same time, Jefferson also designed the permanent home for the state’s capital building, based on the Greek Revival Style. It was completed in 1788. Nearly a century later, following the attack on Fort Sumter in 1861, Virginia voted to join the new Confederate States of America, making it one of the first states to leave the Union. In May of that year, the capital of the Confederacy was moved to Richmond due to its prime location on a central trading route for much of the South. It was one of the biggest slave traders and contained the largest arms factory during the war. 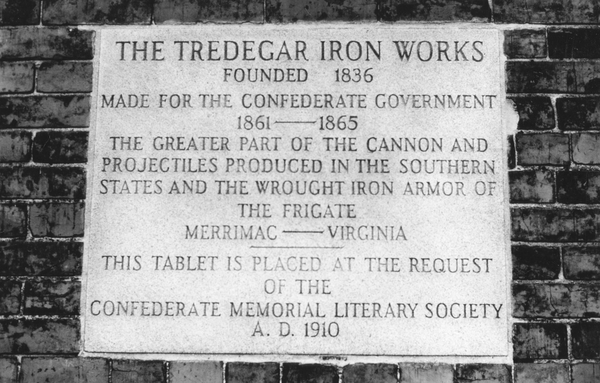 Tredegar Iron Works in Richmond fashioned artillery, ammunition, and 723 tons of armor plating that covered the CSS Virginia, the world’s first ironclad battleship used in war. In March 1865, several supply lines into Richmond failed, leaving the city indefensible. General-in-Chief Ulysses S. Grant ordered an advance on Richmond. The Union Sixth Corps broke through Confederate lines just outside the city. By the end of the confrontation, there were over 5,000 Confederate soldiers dead, and President Jefferson Davis fled the city with his cabinet. By the time Richmond surrendered in 1865, 25 percent of its buildings had been destroyed. Over the two decades following the Civil War, Richmond worked to become an economic powerhouse of the South. Canal and railroad traffic carried people and goods in and out of the city. Tobacco processing and manufacturing boosted the economy by using the world’s first cigarette-rolling machine. Richmond also crafted the first successful electrically powered trolley system in the United States, opening its first rail line in 1888. At the beginning of the 20th century, Richmond was the most densely populated city in the South. 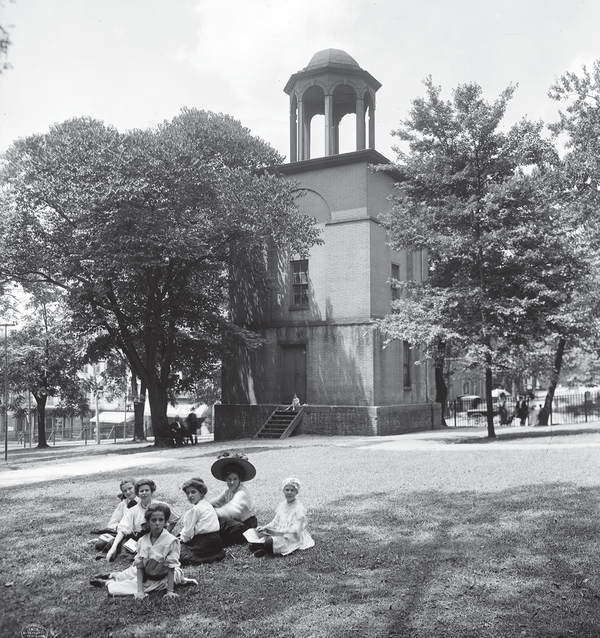 Freed slaves and their descendants built a thriving community known as the “Wall Street of Black America.” In 1903, an African American woman named Maggie L. Walker founded St. Luke Penny Savings Bank and served as its first president, making her the first female bank president in the country. 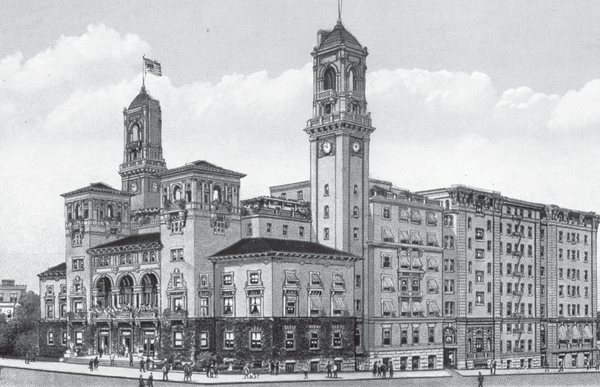 Three important performing arts centers were constructed in the 1920s: Landmark Theater, Byrd Theater, and Carpenter Theater. 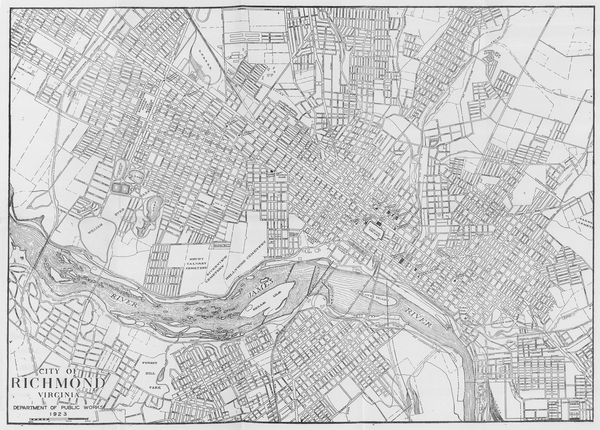 Between 1963 and 1965, downtown Richmond saw a boom in which more than 700 buildings were constructed. In 1970, the city expanded its borders to encompass 27 square miles and in 1995, a flood gate was built to protect communities along the James River from potential flooding, creating the city’s modern River District. This area is now famous for its nightlife, dining, entertainment, and the Canal Walk that runs alongside the city’s old industrial canals. Today, Richmond remains one of the most populated cities in the South and houses a delicate combination of historically preserved sites with modern communities. Rich with food and nightlife, this is a city that has much to offer visitors. A thriving 20th century made Richmond into the successful city we see today - one that saves its history and innovates for the future.